The Jerky Flavor Inside Makes it Better! Yuppie Puppy Marrow Chews are jerky flavor filled chewable nylon bones that are even loved by the toughest chewers! Chewing this bone is similar to brushing their teeth. As the nylon shreds, it becomes like bristles, removing tartar build up from the teeth. 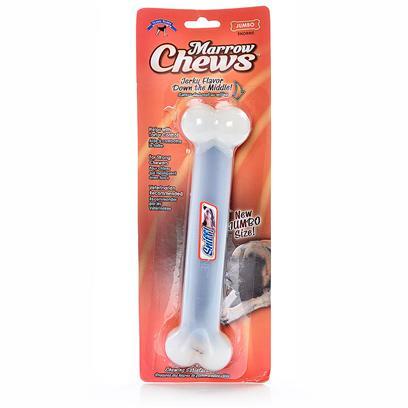 An excellent alternative to rawhide, Yuppie Puppie Marrow chews are designed to last. The marrow makes the difference.